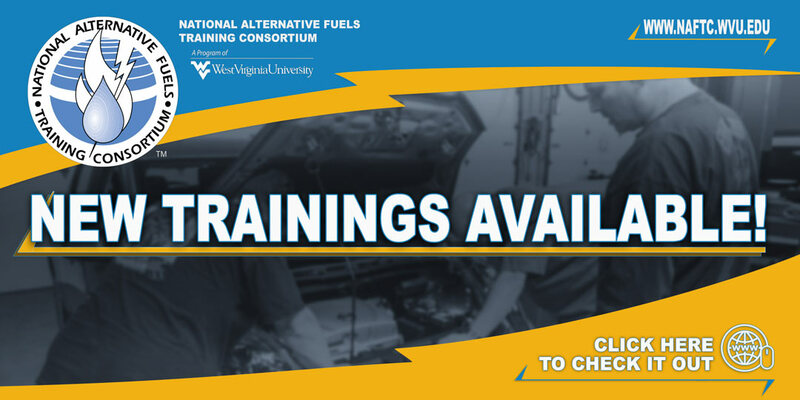 This five-day course helps participants understand electric drive vehicles and how they operate differently from conventionally-fueled vehicles. Participants will learn how to safely maintain hybrid electric and electric drive vehicles. The information covered in the course has helped participants pass the ASE L3 certification test. The number of electric drive vehicles is growing every year. Mandates such as the Federal Energy Policy Act require most large fleets to include alternative fuel vehicles (AFVs) in ever-growing numbers. In addition, many consumers have chosen electric drive vehicles. Describe electric vehicle powertrains for series, parallel and series-parallel hybrid, and fuel cell hybrid powertrains in electric vehicles, battery electric vehicles, hybrid electric vehicles, and fuel cell electric vehicles. List necessary personal protective equipment, such as high voltage insulating gloves, and how to field test prior to use. Explain safety rating systems for electrical meters and leads. Explain keyless start (smart key operation). Recognize powered up key mode and how it relates to the ready mode. Understand EV direct current (DC) to DC converters and vehicle charging of 12-volt system. Explain current charge level relationship to power up key modes. Describe the electric park switch, shift lever position, and how they communicate to the power management electric control unit (ECU). Recognize high-voltage (HV) components, including the inverter (with voltage boosting), service plug and how it relates to the interlock, battery, and system main relays. Conduct high voltage battery pack testing and diagnostics related to different types of hybrid batteries including lithium-ion technologies. Explain different battery cell chemistries. Discuss air-cooled and liquid battery pack cooling systems. Describe current battery leak detection procedures of hybrid battery packs, including high voltage cables. Describe electric air conditioning compressors. Discuss Level 1 and Level 2 AC charging standards compared to DC fast charging. Explain how plug-in charging issues are tested and diagnosed. Explain inverter control of torque and speed and inverter boost. Explain how an inverter converts DC to AC and AC to DC. Explain safety procedures to discharge an inverter, describe fault detection systems within the inverter, and explain how fault detection relates to the rest of the hybrid system. Describe motor-generator operation, testing, and diagnoses with all necessary diagnostic equipment needed to work on a hybrid vehicle and/or electric vehicles. Demonstrate electrical measurements of phase –to-phase resistance and insulation resistance.